Our first time visiting Port Hope, Ontario was during the winter time. 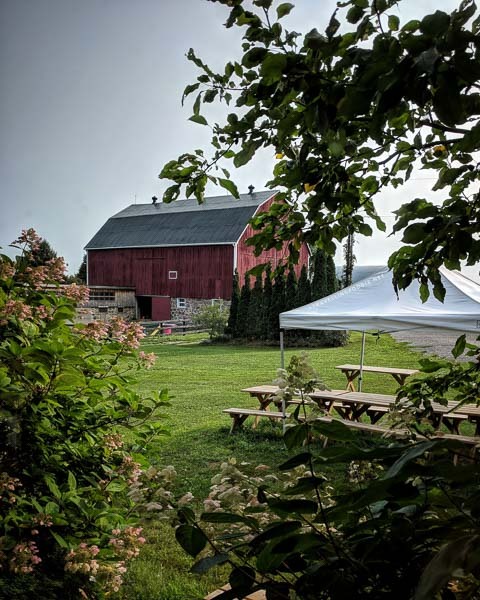 When we visited the Ganaraska Conservation Centre for Maple Syrup Day, we know they offer treetop trekking/zip line in the non-Winter times. 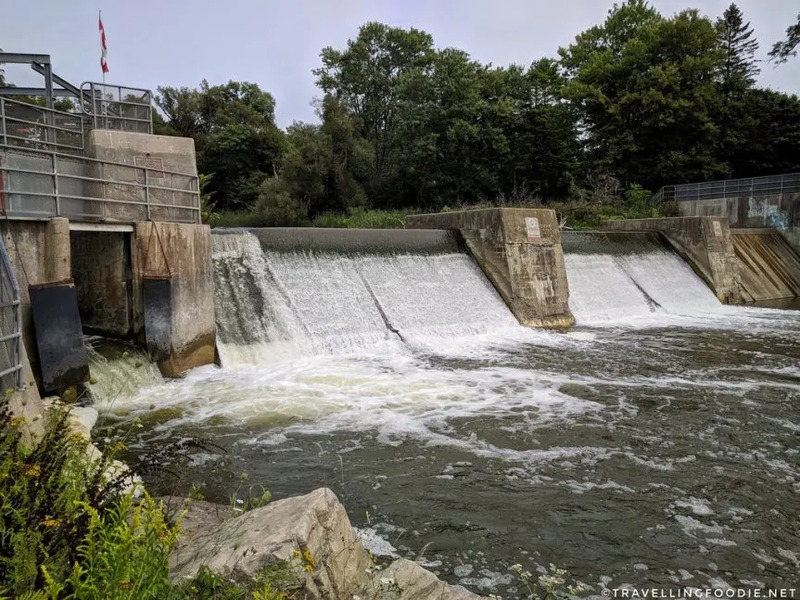 Between August and September, it is also the Cinook and Coho salmon migration up the Ganaraska river from Lake Ontario for spawning. 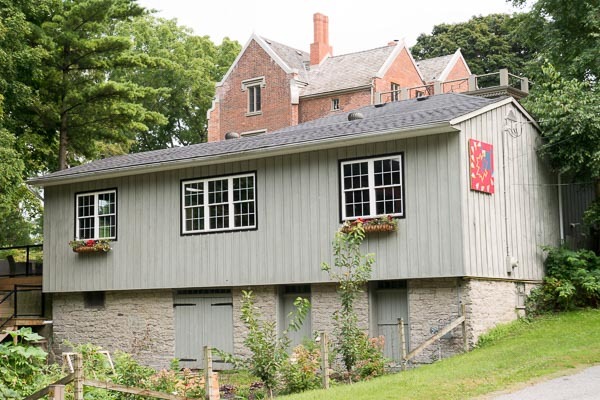 Therefore, we were excited to do a short trip to Port Hope again as a summer weekend getaway before August ends. We started our Saturday morning with some exercise in the form of treetop trekking. For those not familiar with this, it is a game park filled with obstacles to challenge your balancing and strength skills. Perfect for us foodies who may had eaten a bit too much the week before this trip! On every visit to this park, all participants must go through a safety training (which includes passing a drop test to ensure you can get back up on the wire without any assistance) and the entire beginner course. 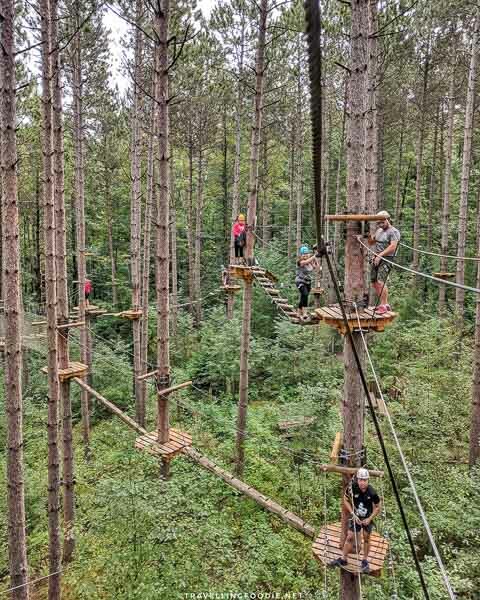 Treetop Trekking’s Port Hope location is home to the famous “Timberwolf”, the most challenging aerial course in Ontario. We were told by our guides that an ‘average fit person’ will need minimum 45 minutes to get through this course. Aside from this expert course, they have 2 beginners, 1 intermediate, and 2 advance level courses. 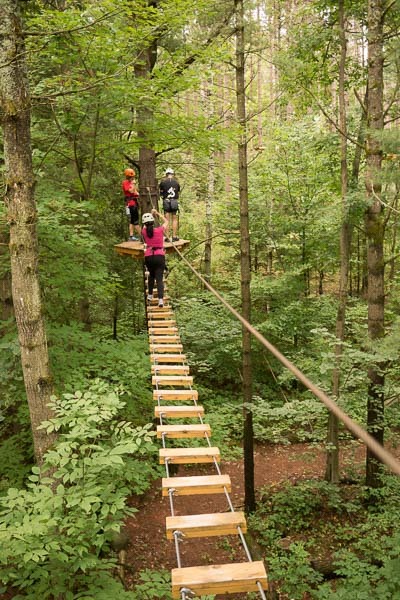 These courses include zip lines, hammock nets, swinging logs and suspension bridges. We felt quite tired after just doing the beginner course, and one of the advanced courses. It is quite unbelievable how much of a workout all the balancing on wires and logs is! For our last course, we did the other advanced course, known as the “Flying Falcon”. It is actually a course consisting of 4 ziplines and 3 suspension bridge obstacles. Why is it considered advanced for zipline? 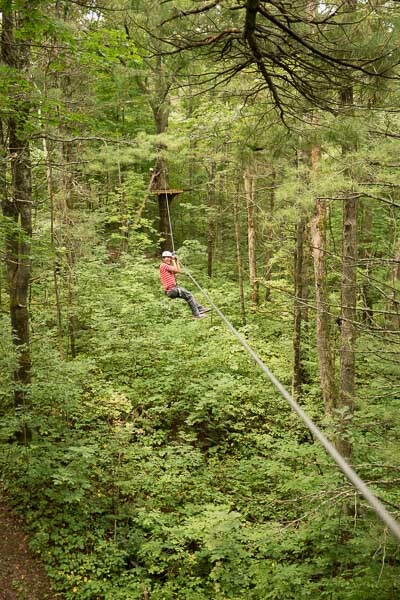 It’s because the distance for each zipline is far apart, with the longest being about 450 meters apart. 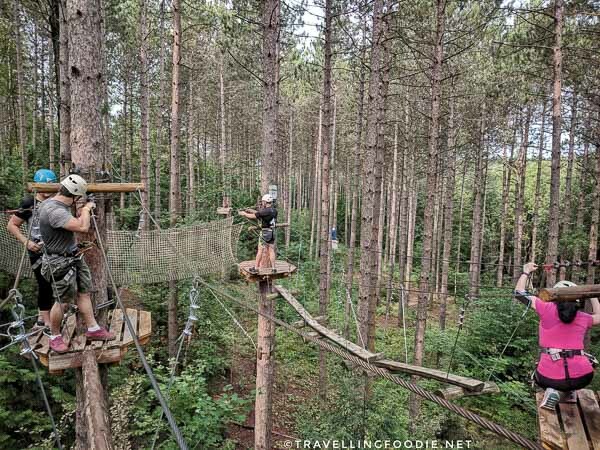 Compared to the treetop trekking in Norfolk County, there is minimal help from guides available here. If you do get stuck not making it across completely, you will have to pull yourself along the wire back to either side of the zip line. You can easily spend a full day here! Travelling Foodie Tip: It’s a good idea to bring some gloves and stretch before attempting the courses! For those who loves a good burger like we do, Olympus Burger will not disappoint with the variety of burgers they carry. Did you know? 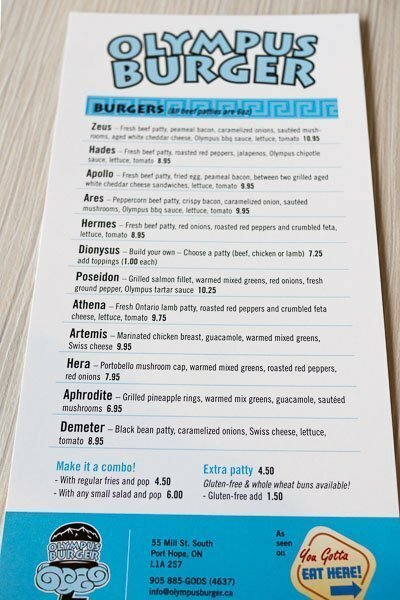 Each burger here is named after Greek Gods and Goddesses. 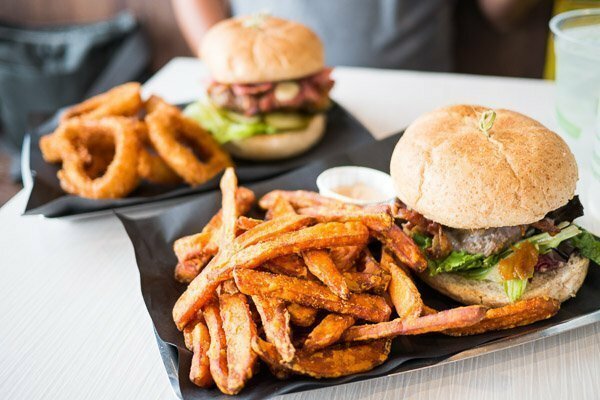 This restaurant was featured on the Food Network’s “You Gotta Eat Here” in 2016, and was voted winner of Best Burgers in Canada, by Canadian Living Magazine in 2017. As if only 12 choices of burgers is not enough, they also have a secret menu which you can only find on their website. 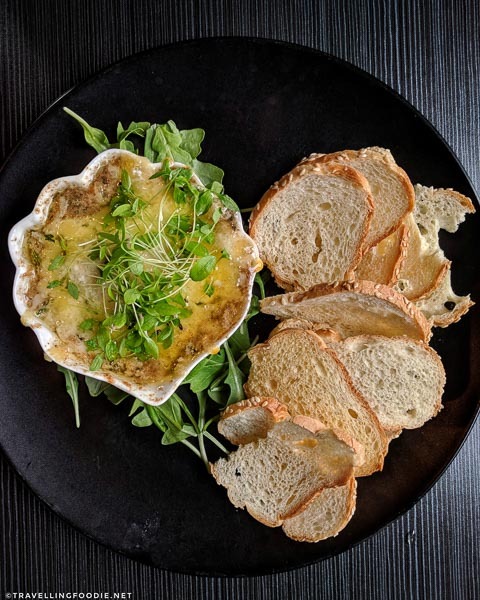 Owner Giorgos Kallonsakis told us that he chose not to show the secret menu in the restaurant so that patrons are not overwhelmed with the amount of choices they can choose from. We agree on this decision as we totally were as we sat in the car for a good 5 minutes looking at the menu online to decide before walking into the restaurant! We ended up ordering from the secret menu for some adventurous toss up along with delicious milk shakes to go with our awesome burgers. – GAIA – Stuffed blue cheese beef patty, crispy bacon, caramelized onions, lettuce, with side of sweet potato fries (Front) – $10.75. 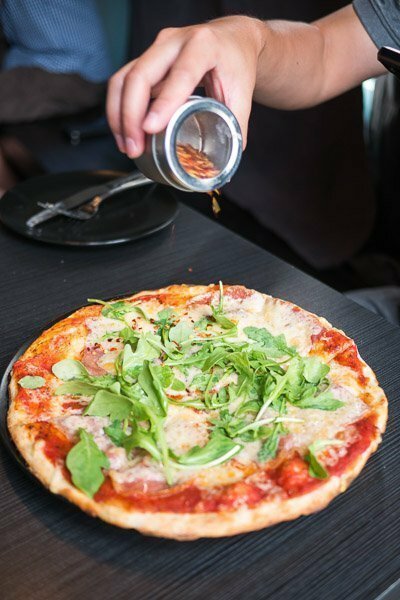 For those up for a challenge, the regular menu also features what is known as the Labour of Hercules. Completing the challenge will earn you a free T-shirt, and future 10% discount on meals. A waiver must be signed to participate in this. The burger consists of: 6oz beef patty, crispy bacon, lettuce, tomato, caramelized onions, jalapenos, habanero peppers and secret Olympus hot sauce. 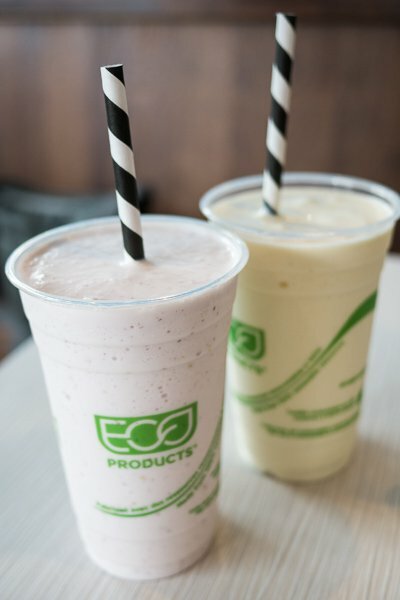 A milkshake is included after the challenge. 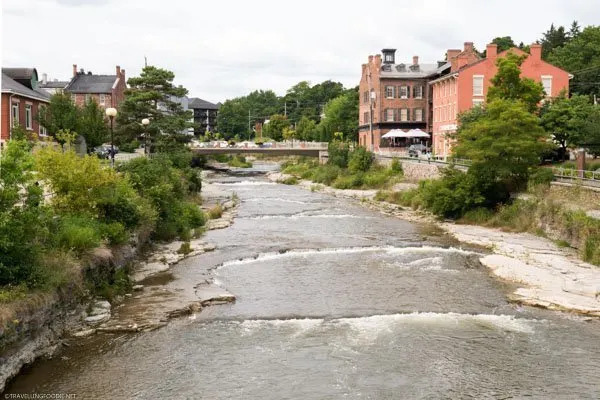 Every year, trout and salmon migrate up along the Ganaraska river from the Lake Ontario to spawn. Rainbow Trout (also known as Steelhead) spawns between late March to early May, or from October to mid-December. Cinook and Coho salmon spawns between mid-August to early October. Separating the river and the Ganaraksa Millennium Conversation Area is Corbett’s Dam. In order to aid the salmon/trout in the migration to the spawning area, a man-made fish ladder is build. 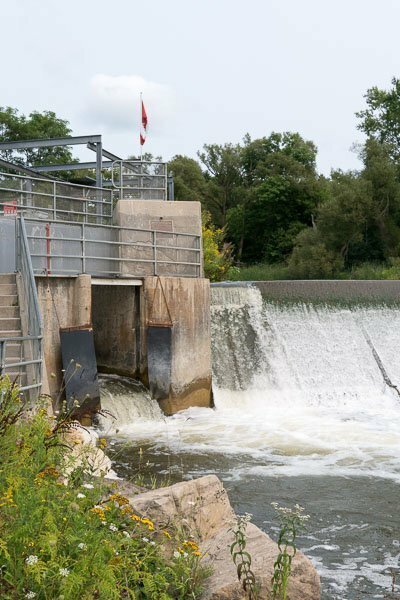 Notice how 2 pieces of fabric is hung on each side of the ladder to protect the fish from smashing into the wall of the dam. During our visit, however, the locals said we were one week ahead, so we will need to try our luck in another visit. 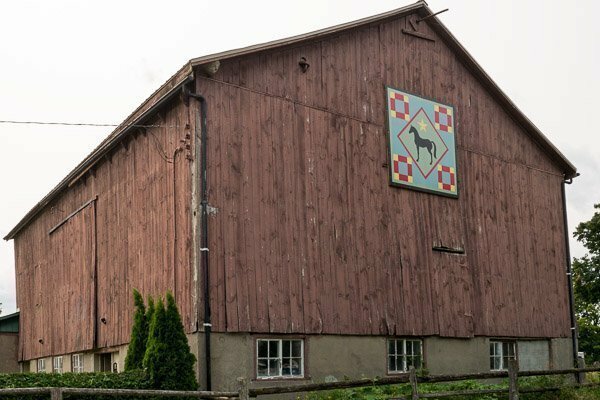 The Port Hope historic barn quilt trail was put together last year by the Architectural Conservancy of Ontario (ACO), Port Hope branch, to celebrate Canada 150. 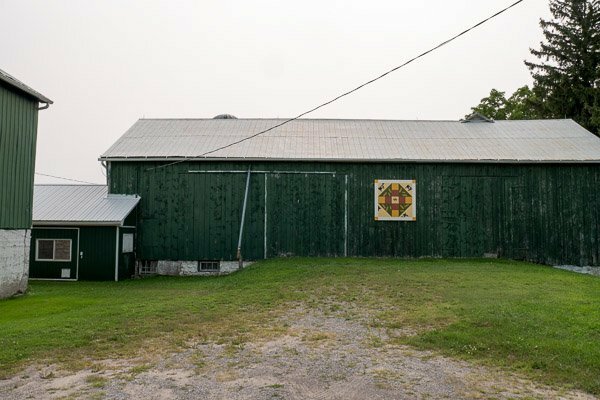 These 23 barns represent both an architectural significance, and economic contribution to the Port Hope community. 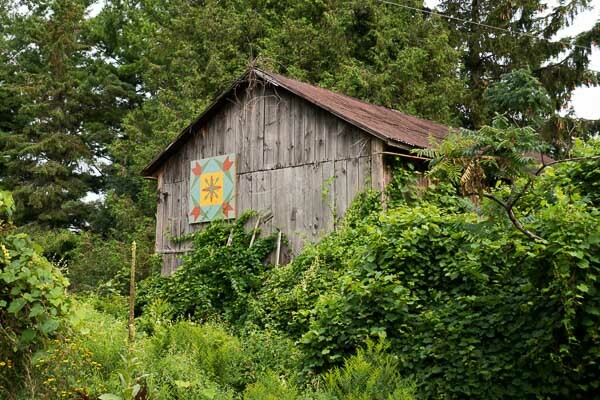 The quilt are hand-painted square tiles decorated with patterns that represent the specific farm. We did a short road trip in between our various destinations today to soak in their history. Travelling Foodie Tip: The only challenge we had was that rural roads are not the easy distinguished by Google Maps. If you do go on this trail, use both the map provided by the website, in addition to your GPS. Be sure to read up on each of their summary from the website/guide book while enjoying the artwork on the tiles. 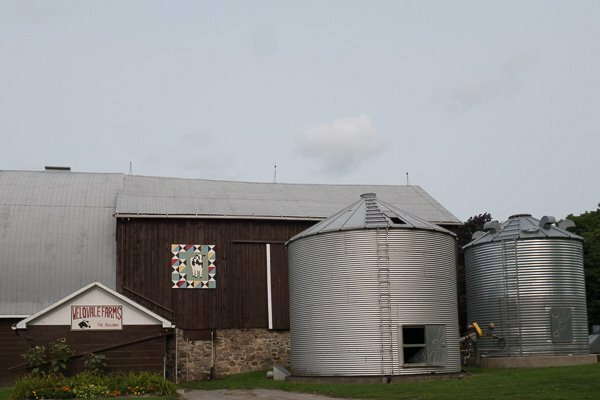 We visited 5 of the 23 barns during the trip. We had an early dinner at Local No. 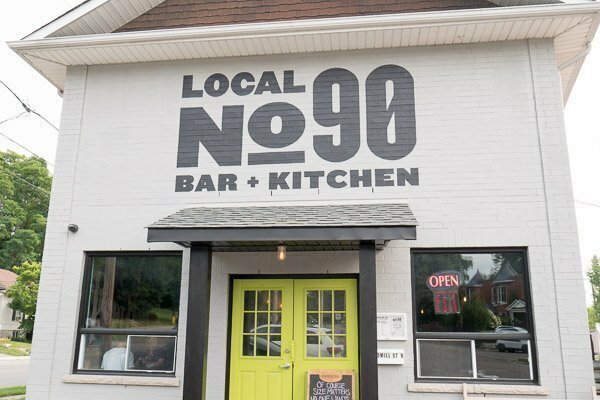 90 before our booked show at the Capitol Theatre. 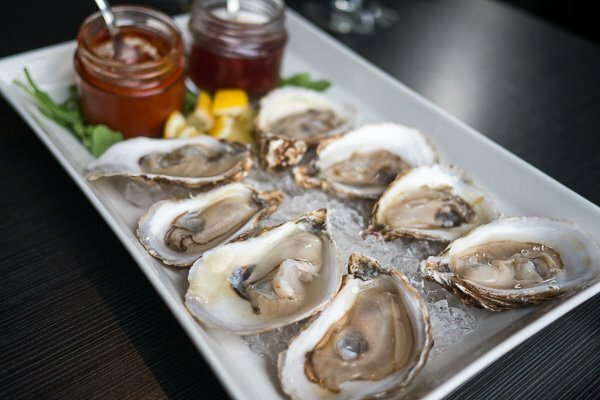 Located at the fork of Mill Street and Ontario Street, the restaurant is hard to miss if you are driving south into the town. This little gem has only opened for about year according to owner Dana Hubbard. When we asked her about the type of cuisine the restaurant serves, she tells us it is different every day! 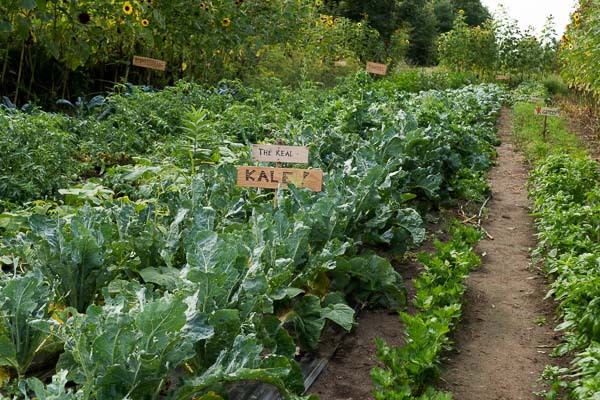 Most of the food are locally sourced from nearby farms. 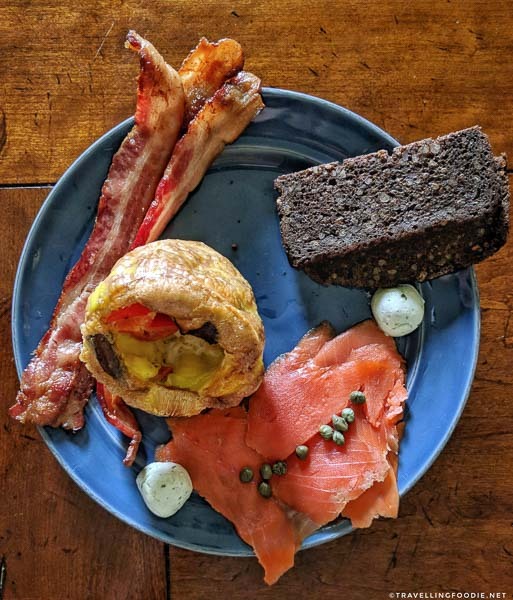 Therefore, the menu is determined by the food delivered to them from their sources, then Chef Jonny will work his magic to design the menu for the day. For example, 25 ducks were purchased, then Chef Jonny checks and see what other veggies he can become innovative with the duck. Ta da, a new dinner is served until all ducks are sold out. 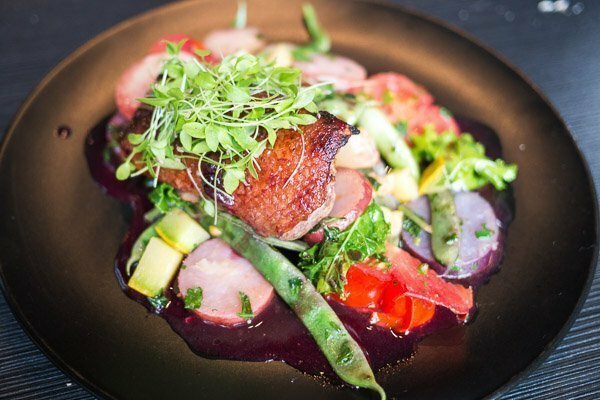 If you get the chance to see this duck dish on the menu, order it as it was delicious! There’s no menu posted on the website because the food changes every day or even throughout the day as items are sold out. Dana had a printed menu for the day, but also a notebook with a handwritten menu specials as well. Even though the place is not big, it felt very homey. You’ll definitely get to meet Dana as she goes around to talk to the customers. She was so easy and fun to talk to. As we had a heavy lunch earlier at Olympus, we didn’t have any beer along with our dinner but they are known for having an always changing bottle selection. Definitely a place to hit up for both locals and tourists for sure! 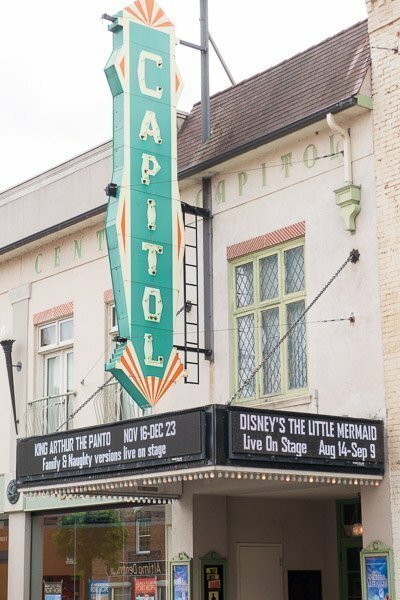 The Capitol Theatre is a landmark designated as a National Historic Site in 2017. Built in 1930, it is one of the last operational atmospheric theatres in Canada. It can seat up to 380 guest inside its venue. What it means by atmospheric is that, instead of seating guests in box-like formal environment for the performance, the entire theatre is designed to be set under an outdoor European garden setting. The Capitol mimics an English garden, complete with blue sky, clouds and a twinkling star ceiling. Original 1930’s fixtures as well as art deco design were all restored. This theatre currently operates year round. Fiddler on the Roof was playing between May 29 to June 24, 2018, followed by The 39 Steps, from July 10 to July 29, 2018. 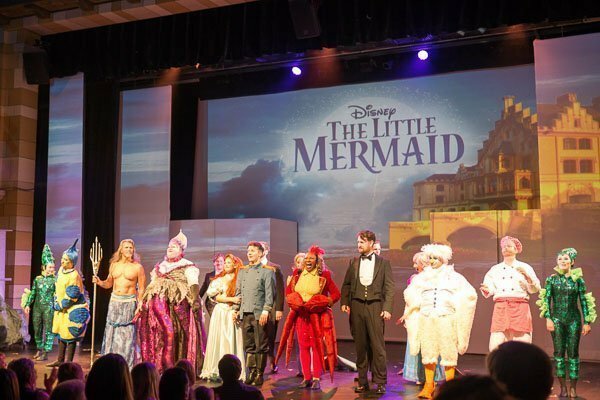 We were delighted to be invited to watch Disney’s The Little Mermaid (on stage between August 14 to September 9, 2018) in this beautiful venue. 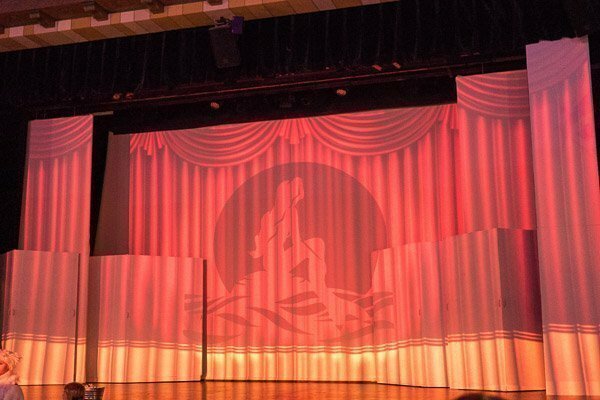 Following productions for 2018 includes Wait Until Dark (October 18 to October 31, 2018), and King Arthur the Panto (November 15 to December 23, 2018). 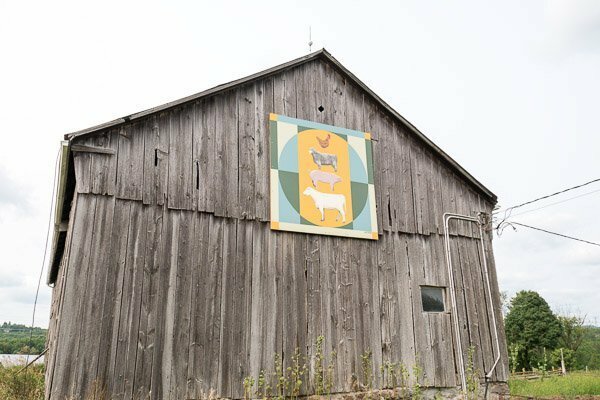 This farm is no stranger for us. 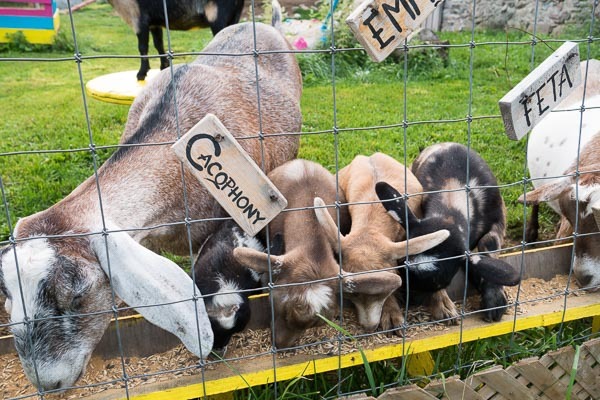 We made a visit here the last time and participated in their goat shmurgle. 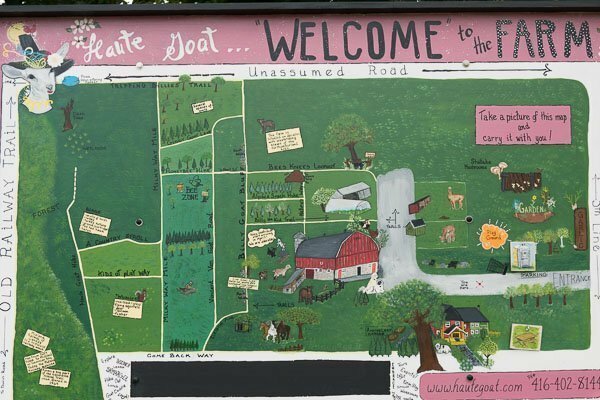 We returned this time to stay over at the farm at Haute Goat’s bed & breakfast that owners Debbie & Shain manage. 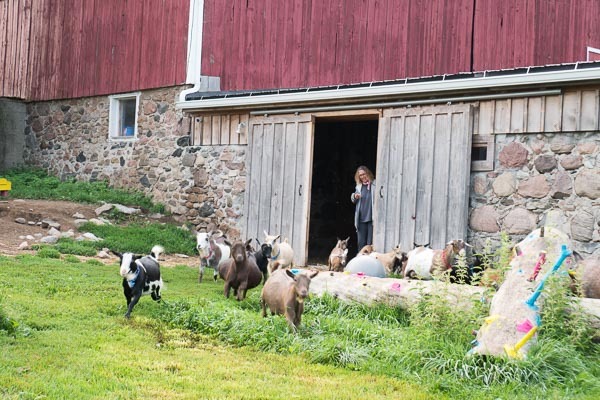 Aside from interacting with our lovely hosts, the benefit of staying here is the other members of the household – dogs, goats, chickens, horses and alpacas. We stayed at the top floor of the home which is very spacious and the bed was comfortable to sleep in. 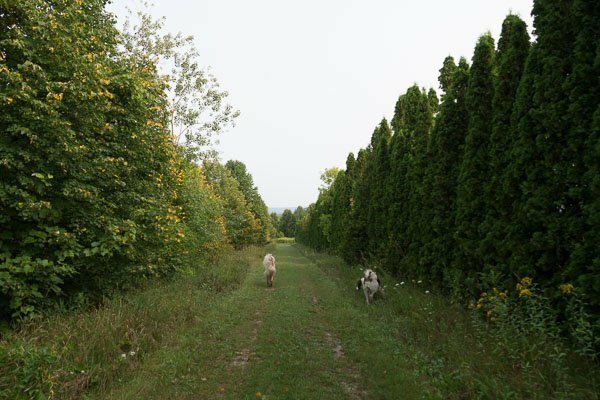 I took an early morning walk, led by the family dogs on the trails surrounding the farm. 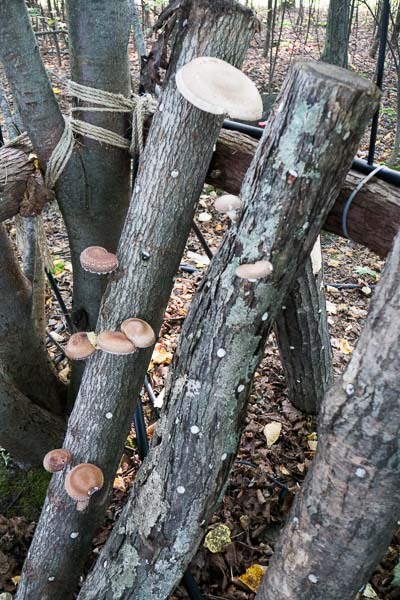 This time, I was also able to look at the map, and went to discover the mushroom and vegetable garden we had missed last time. Early morning walk also means witnessing all the animals have their breakfast. I was very happy to see them again, especially my partner goat Lil Bear, who have now grown up and is more ‘calm’ than the last time I met her. Mom is letting us out for food! For the second B in B&B, Shain also made us farm breakfast in the morning. Ingredients from the garden, very lovely! 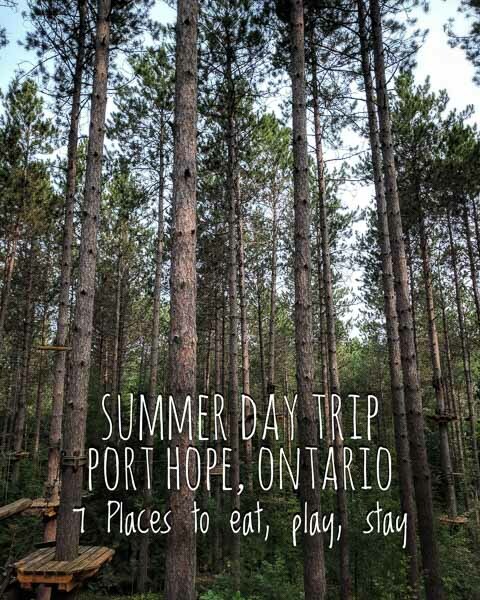 Hope this gives you an idea of things to do, where to eat and stay in Port Hope during the summer! Article written by Veronica Chiu.